Washington, DC : The United States has imposed sanctions on a total of 11 companies and individuals for supplying Iran’s ballistic missile program. Interpreted as an after thought move, albeit delayed over a fortnight, experts having a stronghold on the matter state that the deliberate gap is actually a move delayed by over two weeks so as not to endanger this weekend’s release of US prisoners. US Treasury Department said it had blacklisted the UAE-based Mabrooka Trading, and its owner Hossein Pournaghshband for helping Iran’s produce carbon fiber for the program.Additionally, Financial institutions and companies are barred from dealing with those on the US blacklist. The US Treasury has clearly stated that it was imposing new ballistic missile sanctions on Iran after Tehran released five American prisoners. The move is a back-to-back follow up of removal of some sanctions imposed on Iran over its nuclear program, which were towed down both by the US and EU. 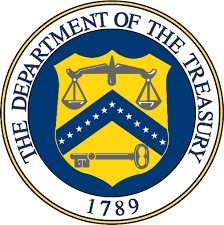 Treasury Department stated in these words in a press release, and, to quote Adam J. Szubin, acting Under Secretary for Terrorism and Financial Intelligence — Iran’s ballistic missile program poses a significant threat to regional and global security, and it will continue to be subject to international sanctions. We have consistently made clear that the United States will vigorously press sanctions against Iranian activities outside of the Joint Comprehensive Plan of Action – including those related to Iran’s support for terrorism, regional destabilization, human rights abuses, and ballistic missile program.